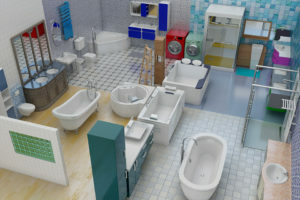 Bathroom pack is now available in our in-App shop, with more than 100 new elements, to create or decorate your Interior. We keep updating our application according to your requests. The most popular demand was to include more furniture for the Bathroom. a huge number of furniture equiped with water tap and drawer. Check our App and click in the shop menu to discover our new bathroom content.